The Isle of Man Post Office has commissioned a set of 12 ground-breaking stamps, featuring TT greats of yesteryear – man and machine alike. 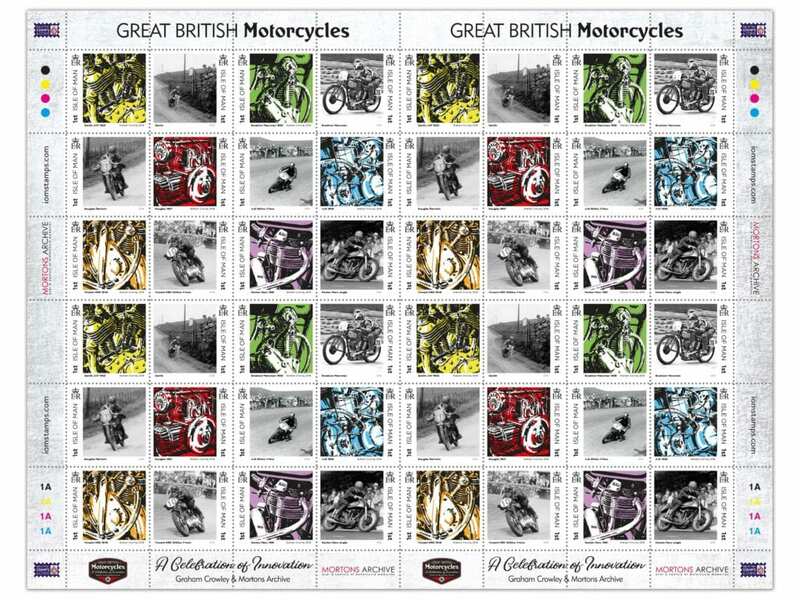 The new Great British Motorcycles set celebrates innovation, incorporating both artwork and classic archive images for the Isle of Man Post Office collection. Harold Daniell, who raced the Manx Norton Single and was a three-time TT winner both before and after World War One, and Freddie Dixon, known as ‘Flying Freddie’ after his victories in the 1920s on both solo machine and sidecar are just two of the riders featured in the iconic collection. And the ground-breaking engines included in the set include the iconic Norton ‘Manx’ from the early 1960s, the four-cylinder, supercharged, air-cooled V-four AJS and the Excelsior Manxman, a machine at the forefront of road racing in the 1930s. Cool, right? The stamp collection will be issued on 17th May 2018. For more information, click HERE. Next Post:Have your say and WIN Held gear!